Some people plan trips for the long weekend, but if you’re more homebody than enthusiastic traveller, you might be planning a deep dive into your sofa cushions and Netflix queue. 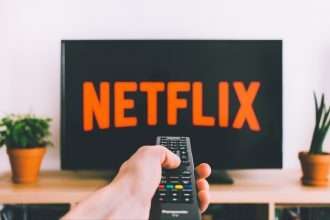 In that case, we’ve got just the thing for you – an array of shows perfect to keep your interest and fill up that extra day doing one of the things modern society loves best: sitting back, relaxing, and getting in a good old binge watching session. This German sci-fi/thriller crossover has been compared to Stranger Things, since it features a cocktail of genres and an initial plot of children going missing. There are also government conspiracies and small towns, bike rides and 80s culture. But the devil is in the details – where Stranger Things has a sense of warmth and buddy comedy to it, mixed with all the strangeness and terror, Dark focuses solely on the supernatural and the intrigue of it, with little to no time spent on cutesy subplots. It switches between present-day and 1986 and 1953, and looks at family not as a uniting force like it is in Stranger Things, but one that’s liable to break, with collateral damage that lasts for decades. As creator Baran bo Odar comments, Stranger Things is more Steven Spielberg. Dark is David Lynch. So if you’re looking to cut your teeth on grittier stuff, Dark is the way to go. If Keeping Up With The Kardashians isn’t your thing, why not go the opposite direction on your three-day binge watch session? 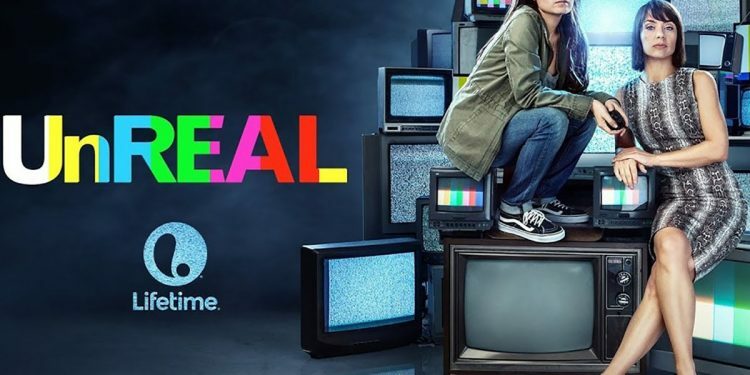 UnREAL is about what happens behind the scenes of reality TV, and although many of the plot twists remain fictional, there is a sense of truth. The realism of this fictional show about reality TV is sometimes so on the point that it’s a little disconcerting, like when an unrealistic plot point is followed by its successor example in real life. And with the main relationship of the show being the tempestuous one between the opportunistic and luridly terrifying producer Quinn and the more moralistic second-in-command Rachel, it’s got enough moral complexity to entice anyone to think twice about The Bachelor. Most media tackling twentieth-century Germany is usually centred around WWII and the subsequent years, rightfully so. But Babylon Berlin decided to take a different route and take a closer look at the preceding years of the Weimar Republic, in all the glitz and grittiness it has in equal measure. Currently, there’s only one season, but it’s captivating enough that you’ll be thinking about it long after you’re done. It’s also revered by critics, with a magical score of 100% on Rotten Tomatoes. As a docuseries about artists, it’s only fitting that the entire series is a piece of art in and of itself, with brilliant cinematography and the ability to follow artists through both a specific individual project and their overarching design careers. The eight artists depicted include Tinker Hatfield, Nike shoe designer; Es Devlin, a stage designer who’s worked with Kanye and Adele; and graphic designer Paula Scher, creator of the Citibank logo, amongst other things. From the first episode on illustration with New Yorker illustrator Christopher Niemann, the series is a wildly clever and fascinating look at the creative journeys one can take when embarking on a career in design. Yet another of Netflix’s sensational hits, the long weekend is the perfect time to delve into the mysteries of Making a Murderer, if you haven’t already. Filmed over the course of ten years, it follows the journey of Steven Avery first convicted and serving a prison sentence for a crime he didn’t commit, and then finding himself behind bars once again for a crime he did. Like any other true crime story that’s then turned into a documentary, the show’s not foolproof, but it makes for some remarkable viewing. Think Masterchef, take out the competitive element and add in some stunning cinematography, and you’ve got Chef’s Table. The series comprises in-depth profiles of fascinating culinary minds, but it goes beyond the food and into a thoughtful exploration of the ways in which food influences and interacts with culture, society, and personal life. There’s also a French and a Pastry version, so you’ve probably got enough episodes to last the whole weekend. And enough cravings for delicious food to last a lifetime. Donald Glover might be known more these days for his hard-hitting work as Childish Gambino, but once upon a time, he was a misfit among misfits in a community college – namely, the one on Community, a comedic mashup of pop culture and television tropes that had something of a dedicated following in its heyday. Following the antics of the adults in a study group, as well as their teacher and Dean, it’s geeky and hilarious, with clever plots and woven-in references. A washed up celebrity who also happens to be a horse, BoJack is the kind of jerk who everyone loves and hates in equal measure – he’s funny but ridiculous, misogynistic and a staunch alcoholic. The show balances humour with frank explorations of all kinds of social topics, including abortion, sexuality, and most notably in recent seasons, sexual assault allegations and the culture of rampant gender discrimination that Hollywood is now attempting to correct. For all the headiness, it remains a hilarious and raunchy show at its heart, and its five seasons will provide sumptuous binge-watching fare.